Gladinet secure file sharing keeps the focus on your business. 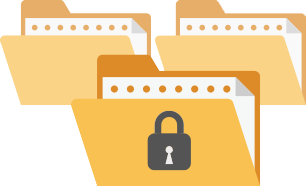 Gladinet controls global concurrent access to cloud storage by using file locking to maintain consistency. Seamless Access – Use Windows Explorer or Mac Finder to access cloud files as if they were on your desktop. Automatic Locks – Files are automatically locked when edited. Lock Management – Locks are intelligently managed across online and offline scenarios with fail-safe algorithms. Configure Concurrent Access – Define default locking behaviors in your environment. File locking can be exclusive to prevent concurrent access or shared to allow access after notification of locked status.